On the first day of his visit, she wore a brooch given to her as a mark of friendship by the Obamas. 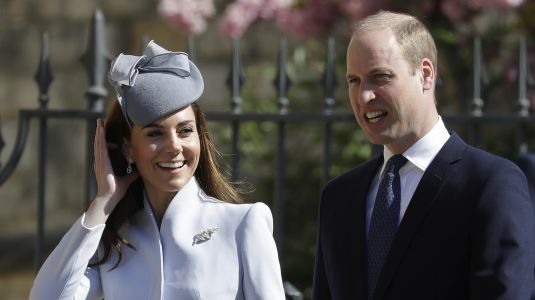 By the end of the trip, it was Queen's brooches 3, Trump 0 What fashion lessons can we learn from Trump's visit? 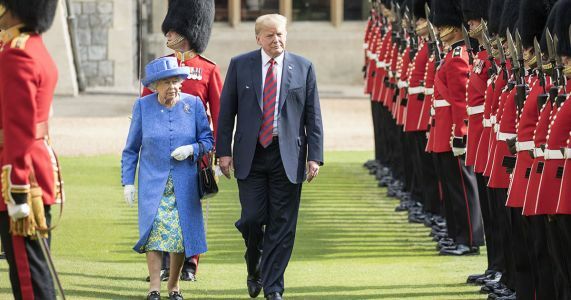 Nancy, London Well, none from Trump himself, other than the obvious; when meeting the Queen, it is best not to wear a suit that looks as if you found it at the bottom of a dry-cleaning pile and, for the love of God, button the jacket , man. Look at the state of you.